Xpand IT, as an Atlassian Expert since 2004 and global company specialised in Collaboration & Software Development, BI & Analytics, Big Data, Enterprise Middleware and Mobile Corporate, will present the 3rd edition of the event catWorkX Midsummer Day 2016, happening on the 17th of June, between 9 am and 6 pm, in Hamburg, Germany. It is necessary to sign up first to participate in the event. Subscriptions are available here so reserve your presence now. The event catWorkX Midsummer Day is already a reference in the Atlassian universe, with the goal to promote solution network between users, so participants get to know the best add-ons in the market and worldwide reference success cases. After the official event (after 6 pm) the organisation is inviting all participants to join them in the Veritas beach party ending the day in the best way possible. The after-party also has a lot of surprises planned. On 16th of June, the day before of the event, there will be free workshops, led by the best add-on developers. Xpand IT will also be present. To see the full agenda of the seminars and/or subscribe your presence visit here. In the last few years, Xpand IT as launched a lot of reference add-ons, used by a variety of organisations from the Fortune 500, such as Xporter for JIRA and Xray for JIRA that have proven to be huge successes. 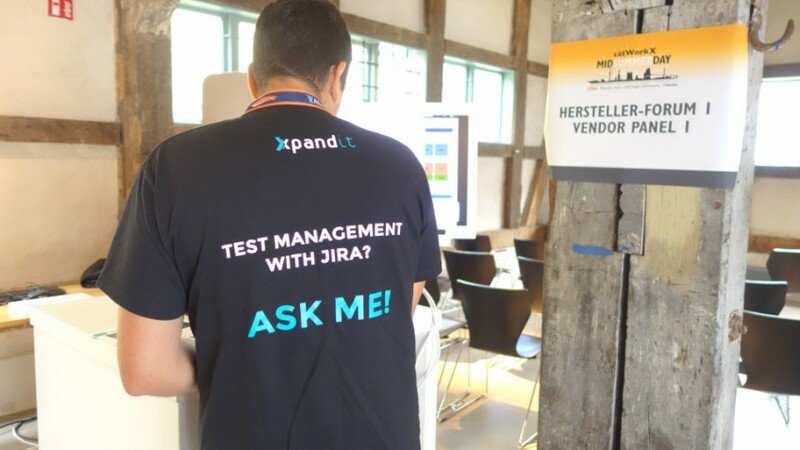 The Xray for JIRA is a solution to manage and execute software tests in the platform JIRA from Atlassian. This solution was launched at the end of 2013 and has had an impressive growth on a world scale. Today it counts with more than 400 clients, such as Audi, Nike, Lufthansa, Verizon, Wallmart, and Vodafone, in more than 50 countries. Between the big tool advantages, stands out the configuration and test process map, integration with automatic and manual automation tools and a wide variety of reports and dashboards for test execution analysis. The Xporter for JIRA is the add-on of reference to export issues from JIRA to custom templates. Among the functionalities and advantages of this tool, stands out the template gallery (a freeway in the marketplace) and in a large variety of formats to import/export files (pdf, docx, xlsx, docm, dotm, dotx, rtf, odt, svg e png). The acceptance of this add-on has grown, and it already has clients around the world like Porsche, Samsung, Yamaha, MasterCard, Lidl, Tesla, Lufthansa, Audi, Xerox e Intel.